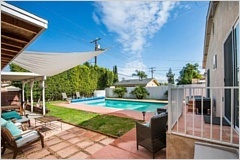 This warm & inviting remodeled Encino Park pool home has much to offer. 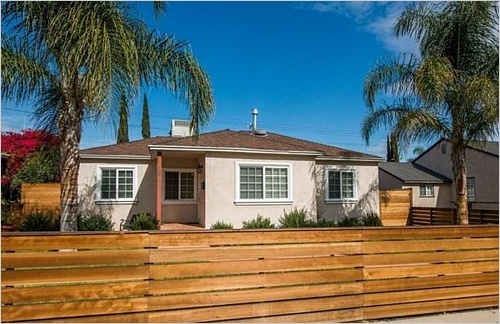 Beautiful landscaping & a modern wood fence create a charming environment w/ plenty of privacy. 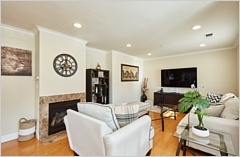 The spacious living room w/ gas fire place features crown moldings, recessed lighting, & beautiful natural light. The open kitchen is spacious w/ a large island, wood cabinets w/ granite counter tops & under cabinet lighting, newer stainless steel appliances, & walk-in pantry w/ stackable laundry. 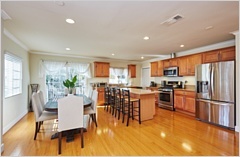 The dining room is right off the kitchen which makes this home perfect for entertaining. The 3 bedrooms are well spaced out. 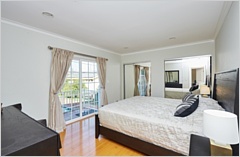 The large master bedroom has plenty of closet space & sliding glass door to the backyard. The secondary bedroom also has a walk-in closet & sliding doors to the backyard. 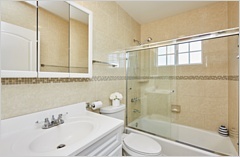 The bathrooms are spacious and remodeled w/ floor to ceiling tile & glass shower enclosures. 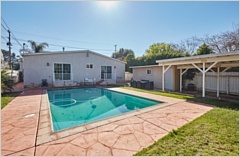 The backyard has everything one would need w/ a sparkling pool, lush grassy area, plenty of outdoor dining space, extra storage unit & carport.